My last post got me thinking, or just freaked me out. We are going to have allot of extra produce this summer and fall that might actually exceed what we and all of our loved ones can actually consume. As much as our chickens would hate to hear this we need to look into other alternatives so none of our organically grown food goes to waste. 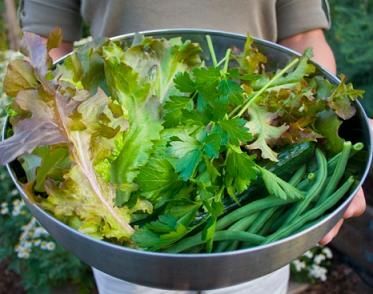 Backyard Grower Program- This program at the City Heights Farmers Market allows those of us with small scale gardens to still participate in the local food community. You bring your produce each Saturday morning to their booth and either sell it yourself for a $5 fee or have them sell it for a small percentage. Crop Swapper– Started by two brothers in San Diego, Crop Swapper allows you to swap your produce with others in the San Diego area. They meet once a week at Del Cerro Park, 6475 Del Cerro Blvd, San Diego, CA 92120, with more locations to come. Veggie Trader– The craigslist of produce, this amazingly easy to use sight enables you to list seeds, seedlings and actual fruits and vegetables that you have in excess. You just post a listing detailing what you have available then you choose if you would like cash for your goods or if you want to swap for some produce or seedlings your in need of. We are very happy to have such a healthy and happy garden this year that is already producing. Friends of Seeds in the City get your recipes ready. This is what we have growing this year. No SERIOUSLY, get ready, we might have gone overboard and in a couple months it’s going to be crazy. So on our daily check of the garden we came across this yellow substance that is a pretty strange sight. It’s not bug eggs, but actually slime mold which can spread across mulch when temperatures get warm and humid. Slime Mold is part of the Myxomycetes family, it feeds on micro-organisms and is in no way parasitic. It prefers moist conditions and as it dries it turns a tanish-brown color. Pesticides and other chemicals do not effect it and it will most likely go away on it’s own but you could scoop it out or bury it under if it’s appearance gets to be too much. Currently Slime Mold is being studied all over the world and is featured in this article by Wired magazine for their unique ability to build efficient networks of travel. Slime mold designing our transportation networks?! I would never have thought that in a million years just by looking at it. So we visited Curtis at the Hillcrest farmers market promptly at 9am when they opened so as not to miss our chance to try one of his chickens. It was great to meet him in person and he already had a line of eager customers looking for chickens and eggs. We picked up our beautiful bird and I started planning our meal. Since our garden is not yet in full production mode we picked up a lemon, garlic bulb and yukon gold potatoes to add to our rosemary and thyme. We roasted our chicken with the garlic and lemon placed inside the chicken with rosemary potatoes lining the pan. I must be honest that I have never handled a chicken or cooked a whole chicken and it definitely brought me much closer to the food I was about to consume. After 1 hour and 45 minutes the bird was done. We thanked the chicken for giving up it’s life and dug in. We promised ourselves that we would only eat a small amount and try to make it last the week. As Josh likes to tell the story I was soon searching each bone for any morsel possibly left behind. I blame this on the fact that I hadn’t had chicken in over 5 years. The entire bird was gone in one night. When we were leaving the Womach Ranch booth on Sunday, Curtis offered to give us a tour of how things are done and to see the birds in person. Look for that adventure soon! 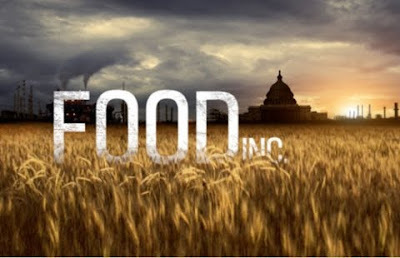 For those of you who have seen Food Inc. you have no doubt longed for your own version of Joel Salatin’s PolyFace Farm right here in San Diego. Well we have found it in Curtis Womach who is based in Julian and runs Womach Ranch. Womach Ranch chickens are what we have always idealized our grocery store chickens to be, actually “free range”. Their diet consists of grass, organic feed and whatever tasty bugs they can scratch up. You can find these chickens for sale at the Hillcrest Farmers Market every Sunday from 9am-12pm, but get there early, Curtis tells me they usually sell out before noon. For those of you who aren’t early birds you can sample his fare at the always-delicious Linkery. Airs tonight on our local KPBS station at 9pm. Check when it’s airing where you live here. This is one of the most important food documentaries ever made. If you eat food then this is for you. So this might gross out some of you but after enjoying our chickens eggs we dry out the shells, crunch them up and feed them back to our mostly lovely ladies. It provides them with calcium as well as a little bit of grit. 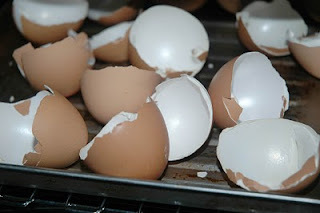 Lately we have had so many eggshells that the extras have been making it into the compost bin, which is where I’m sure most of yours go but did you know they also can benefit your garden in another way? If you crush them, then soak them for 24 hours you can pour the water right onto your plants to provide much needed calcium. This is especially beneficial to tomatoes and peppers. Are in bloom all over the city. Lupines are popping up everywhere I look, even lining the freeways. Because of the good amount of rain this year all the hillsides seem to be bursting with color. You must get out and see this before the summer heat takes it’s toll. You don’t have to venture very far, all of these pictures were taken within 10 miles of Downtown San Diego! This trail can be accessed at the north end of Regents off of the 52 freeway. It is part of Rose Canyon, at the site of the proposed Regents Road Bridge.